This is a special week set aside every September to honor your nanny! Below are a few suggestions to help inspire a surprise for your nanny. Enjoy! What does your nanny love? Is there something they adore, besides the kiddos? Are they a yoga lover? How about a gift card to lululemon? Do they love pedicures? Julep is an awesome location for a bit of pampering. Perhaps a gift card to University Village where they can pick up a new Glassybaby and a nice lunch at Blue C Sushi. If your nanny has a sweet tooth they’ll be able to choose between Molly Moon’s, The Confectionery, Trophy Cupcakes, Fran’s Chocolates, and more! Who doesn’t like extra spending money? Of course, a paid day off would be a wonderful gift as well! How about a surprise from the kids too? Oh, yes! This is a must. Involve the kids in planning something special. Create homemade cards, bake cupcakes, or throw a surprise party when your nanny arrives in the morning! The kids will have so much fun creating something from their hearts. Plus encouraging your kids to show others how much they care, is a beautiful thing. However you decide to show you appreciation, your nanny will be touched. Have a wonderful week! 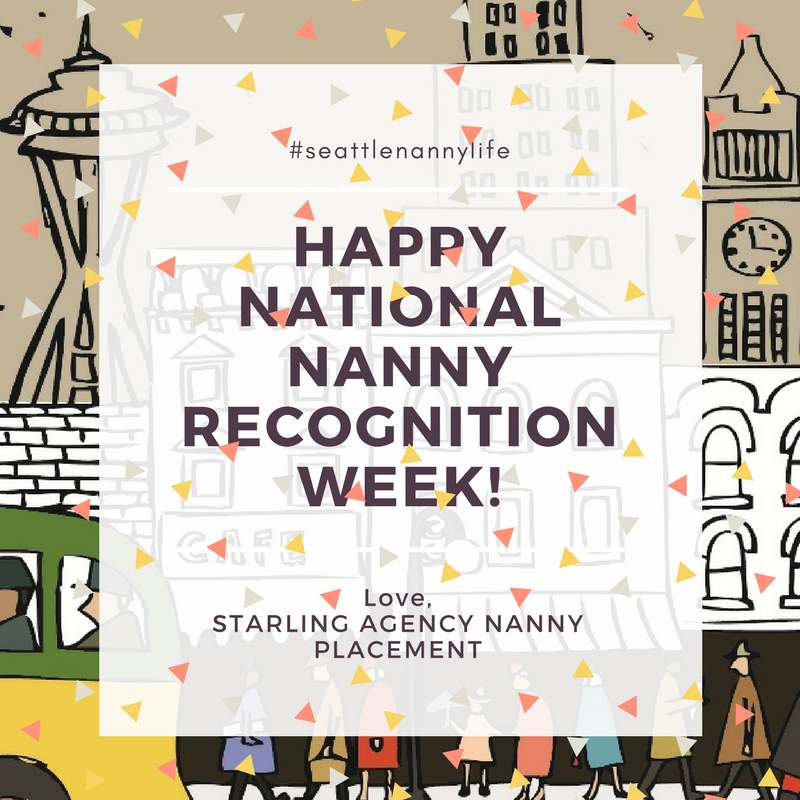 ABOUT US: Starling Agency is a nanny placement service proudly serving the Seattle area. We specialize in referring highly educated nannies that are passionate about helping children learn and grow. We utilize proprietary resources, professional networks, and expert screening methods, to help your family hire an exceptional nanny. Starling Agency is a run by parents and educators. We are members of several professional nanny agency associations which establish the highest level of ethical business standards.